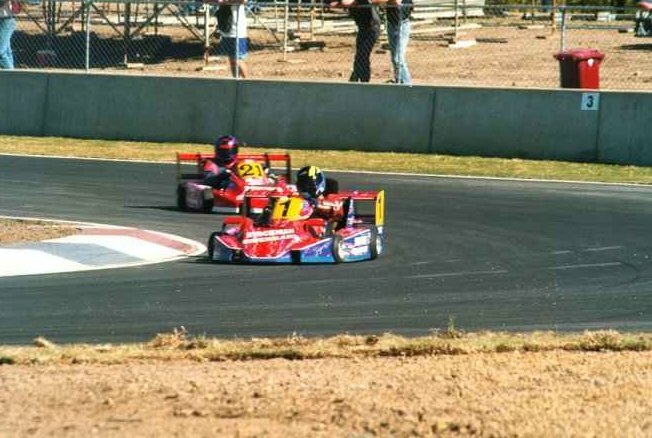 into a turn at the 1999 Pacific Superkart challenge. 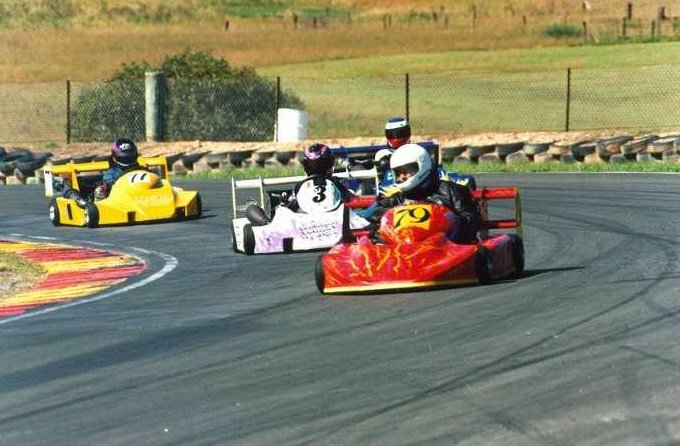 A group of Australian 250s at a Queensland Superkart Club outing. Barbera Hepworth at the Phillips Island SuperKart Grand Prix. Martin Hines and Dave McHugh at the 1990 Australian F1 support race. Chas Maddern at the '94 F1 GP support race.